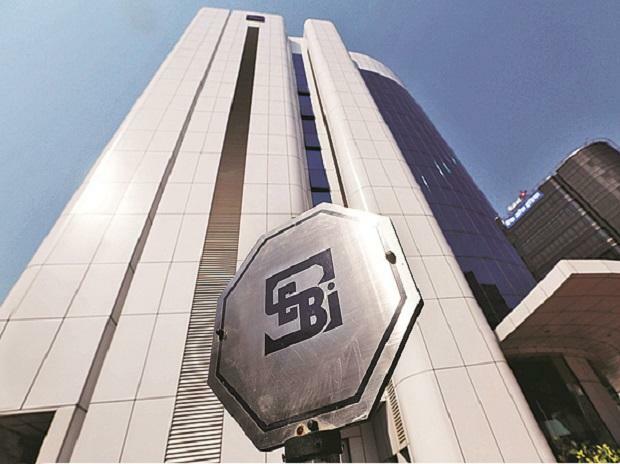 The long-pending proposal of a self-regulating organisation (SRO) for mutual fund (MF) distributors got a shot in the arm on Monday as the Securities and Exchange Board of India (Sebi) proposed doing away with the application process and, instead, suggested a nomination process. “This should expedite the process of granting SRO status to a suitable body,” said a senior MF official, requesting anonymity. Through the nomination process, Sebi would grant SRO status to an entity after conducting due diligence. In another key proposal made in the consultation pap­er, the regulator included ‘stock exchange’ in the definition of an SRO. The earlier definition categorically excluded the term. The market regulator proposed setting up of an independent nomination committee, preferably headed by a retired High Court or Supreme Court (SC) judge, who will give recommendations to Sebi regarding the suitability of an entity for the role of SRO. The pending cases may also be considered by this committee. “It is important that the recognised body evenly represents all sets of distributors whether it is independent financial advisors, banks or national distributors,” said Bharat Bagla, a MF distributor. The regulator, in its consultation paper put out various details on the composition of an SRO and what would be the roles of the key personnel. The SRO’s purview would be restricted to dealing with disputes between investors and its members. Such disputes would be outside the ambit of the SRO. Citing the rise in complaints against investment advisers (IAs), Sebi also underlined the need for an SRO for advisers. In March 2014, Sebi’s in-principle approval for Institution for Mutual Fund Intermediaries (Imfi) was challenged in the Securities Appe­llate Tribunal (SAT) on a technical point by another ap­p­­­l­i­cant—Financial Planning Supervisory Foundation (FPSF). FPSF held that Imfi’s application for SRO came even before it was incorporated. This meant that Imfi was not a legal entity at the time of its application. Moreover, Imfi’s application was filed on August 2, 2013, which was four days after the cut-off date of July 29, 2013. In November 2015, SAT set aside Sebi's in-principle approval for Imfi and directed the market regulator not to take any steps till it properly follows the laws. 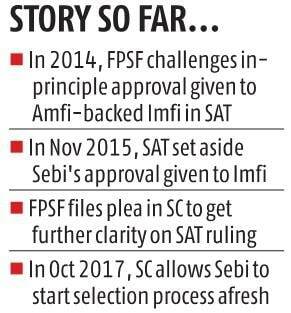 However, FPSF filed a plea in the SC arguing that the SAT ruling had wrongly held that Sebi was justified in acknowledging Imfi's application as regulations didn't require the applicant to be an incorporated entity. In October 2017, the SC allowed Sebi to start afresh the selection process for SRO. Following this, Sebi sought leave from the apex court to make necessary amendments to the SRO-related regulations. The market regulator has sought comments from the public on the consultation paper latest by April 21.